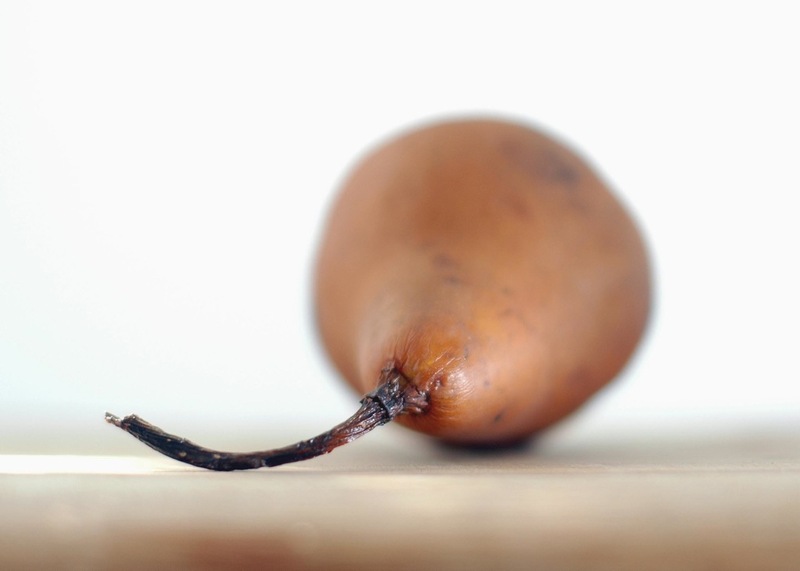 These pears make a lovely breakfast or simple dessert. Try them over Whole Oat Porridge, this Barley and Oat Granola or simply with thick, creamy yoghurt- the contrast in temperature and texture is delicious! For a bit of indulgence serve them with ice-cream or in cakes and tarts. If you don’t have Buerre Bosc pears William, Packham or Corella pears will work nicely- just make sure they are firm and just under-ripe. Any of your favourite spices- star anise, cardamom, nutmeg and ginger for example- can be used in addition to or instead of the cinnamon. 1. 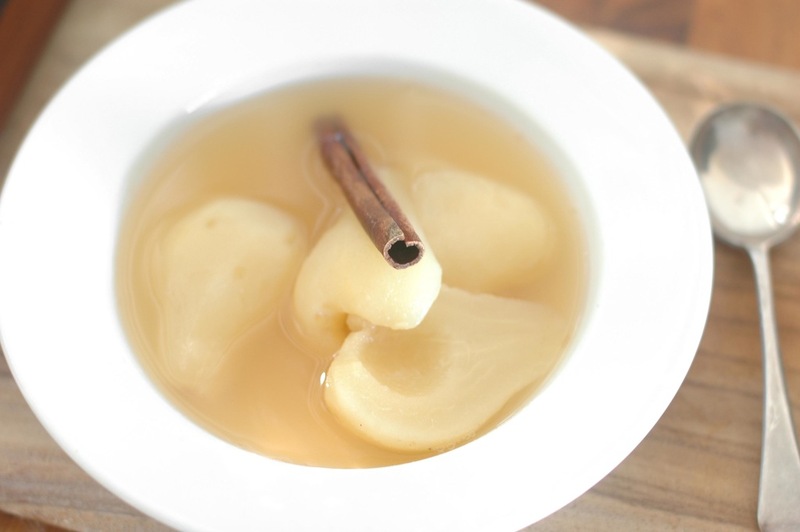 In a small saucepan (it should fit the halved pears snugly) combine lemon juice and cinnamon with 3/4 cup cold water. Bring to the boil then cover and simmer gently for 5 minutes. Add the honey and stir to combine. 2. Meanwhile peel, halve and core the pears. Carefully lower them, cut side up, into the saucepan. Cover and simmer gently for about 10 minutes, until the fruit is soft.